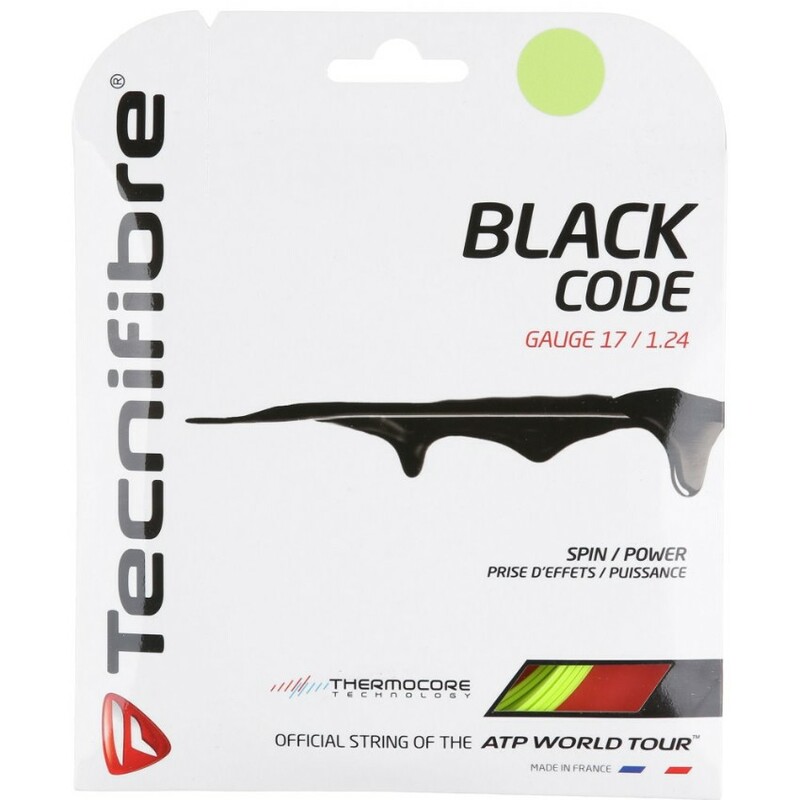 Tecnifibre Black Code 17 Lime String - Tennis Town | 網球購物城 - Tennis Racquets, Equipment, Strings, Shoes & Bag. Pentagonal profile. Durability, flexibility, and spin. New generation of co-polyester monofiber.